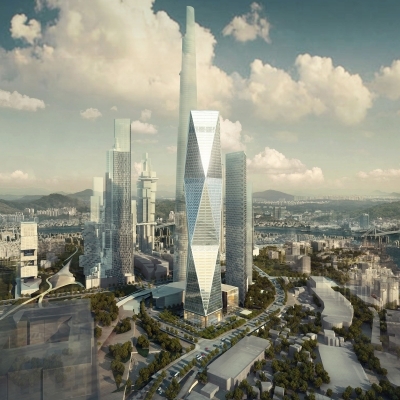 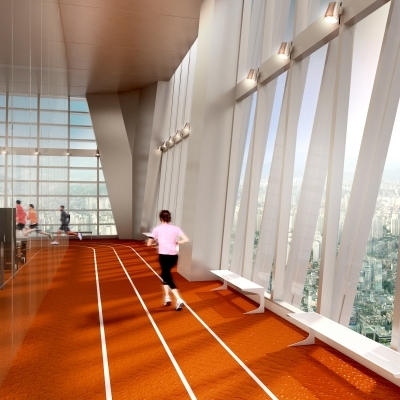 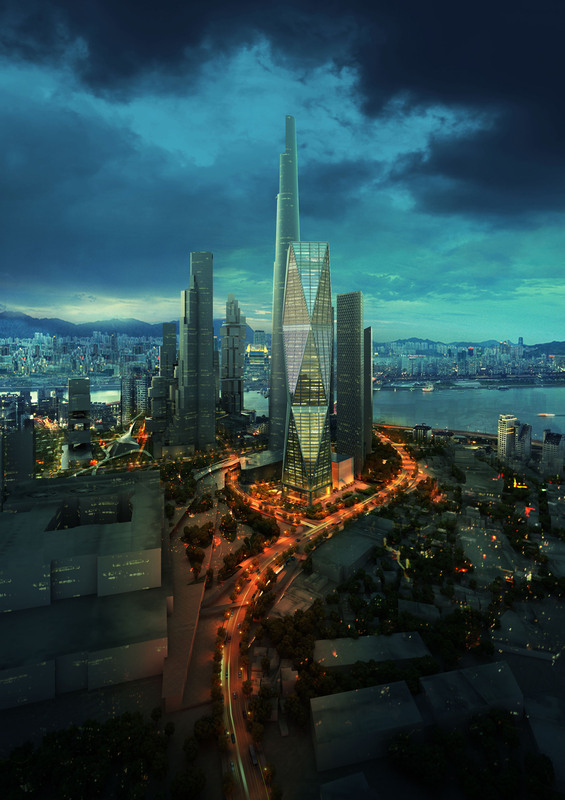 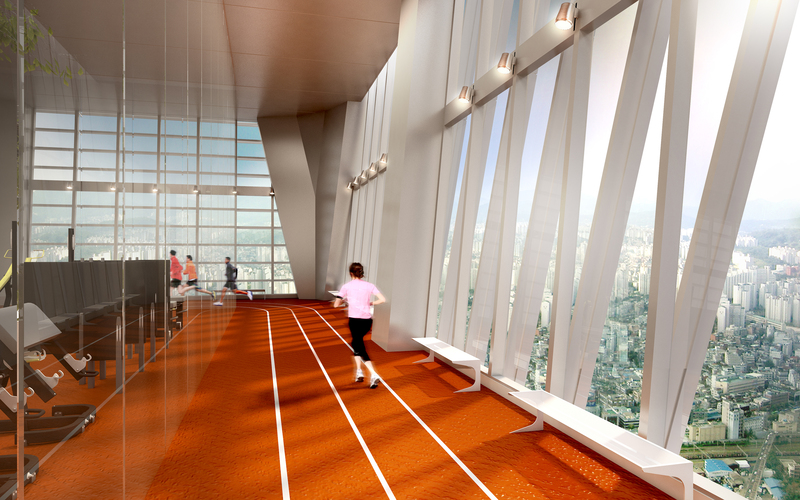 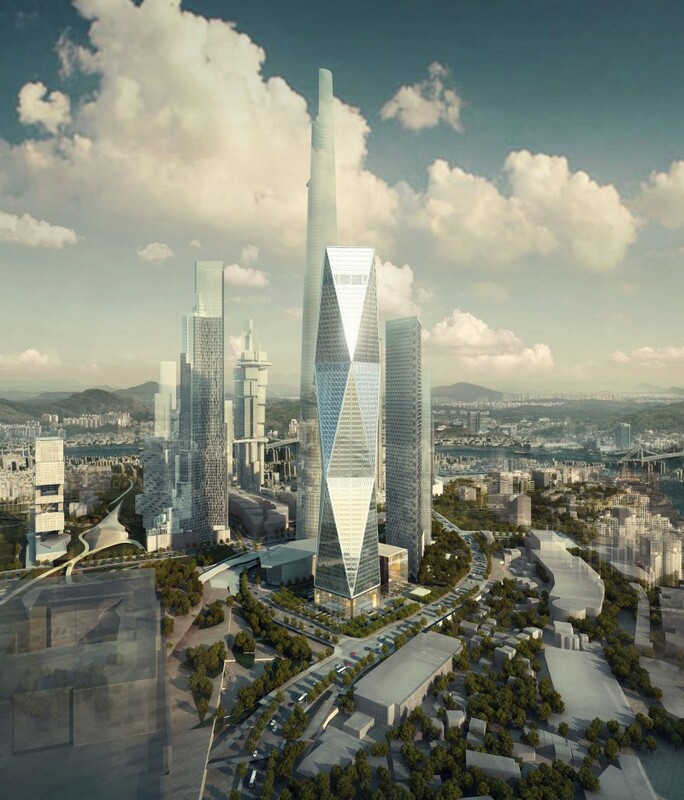 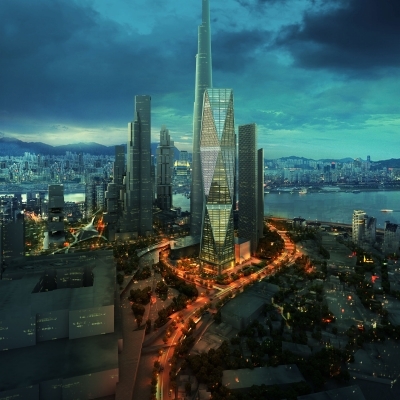 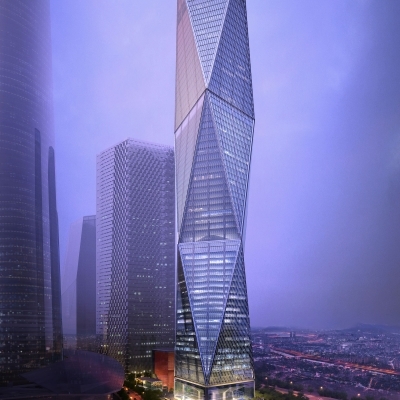 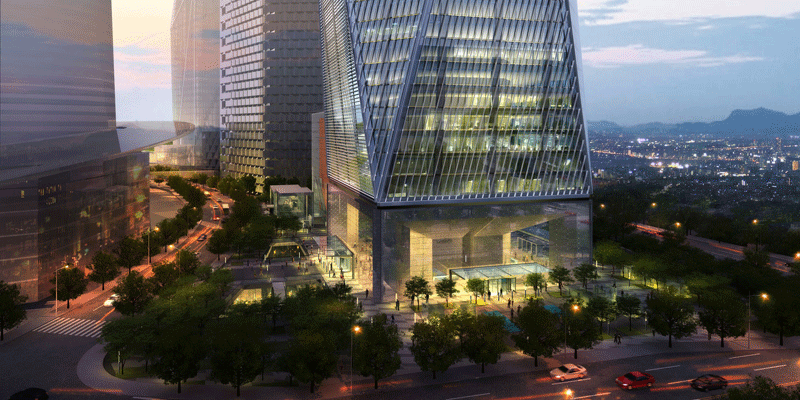 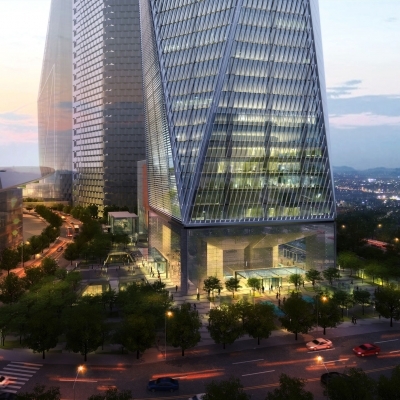 Located at a prominent corner of the Yongsan International Business District, a new commercial and mixed-use district planned for the center of Seoul, the 64-story building provides more than 170,000 square meters (1,830,000 square feet) of open office space, two double-height sky lobbies with a cafeteria and fitness center, and a penthouse executive lounge. 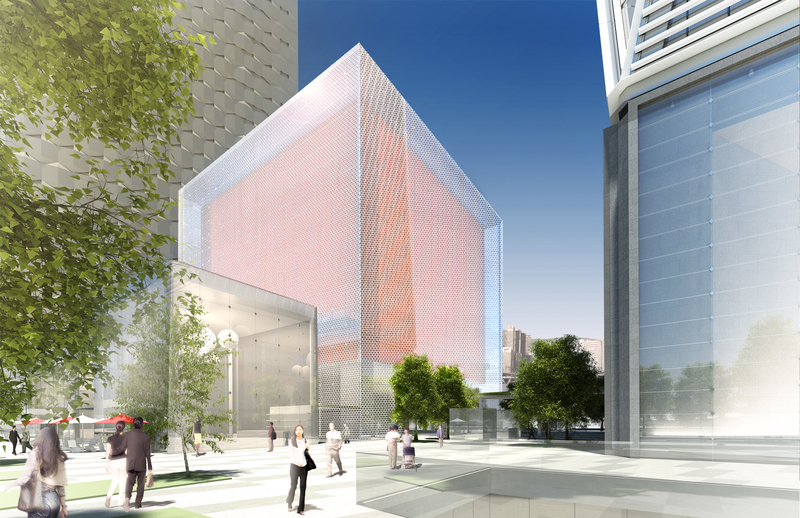 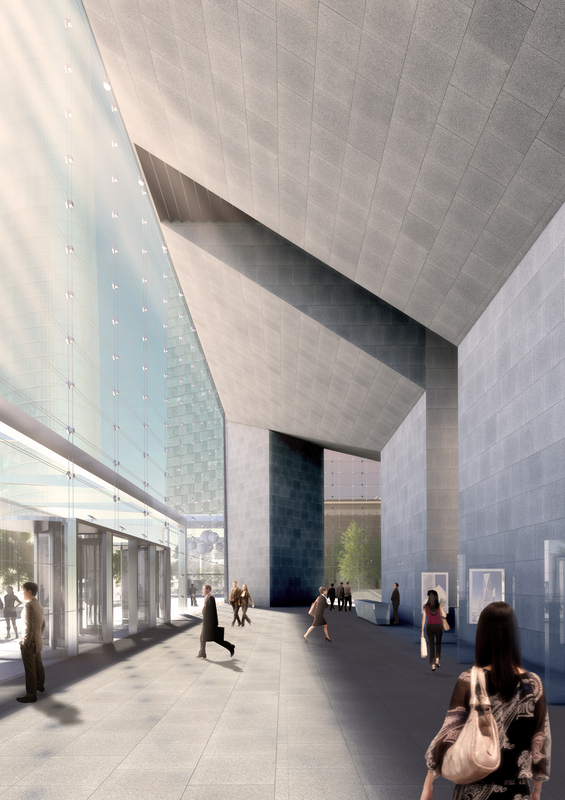 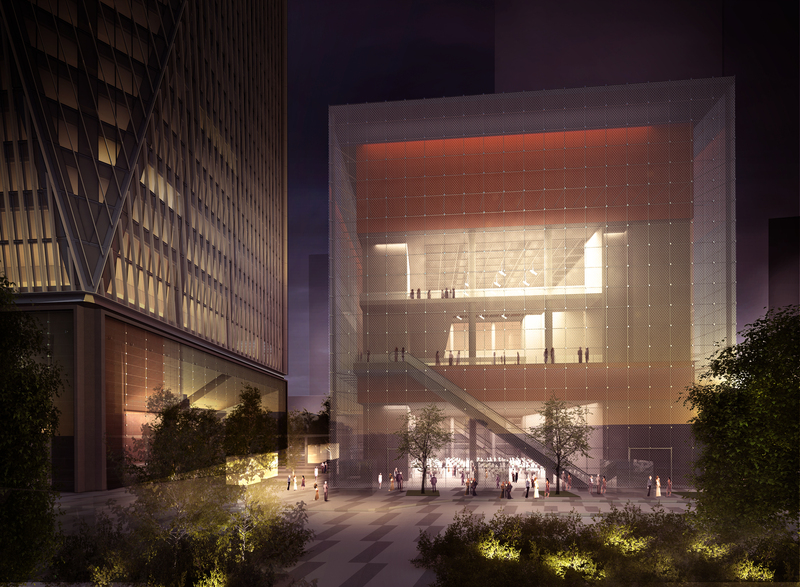 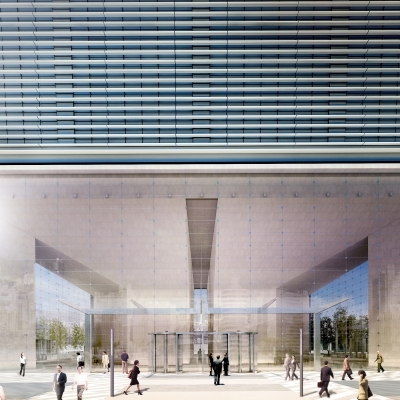 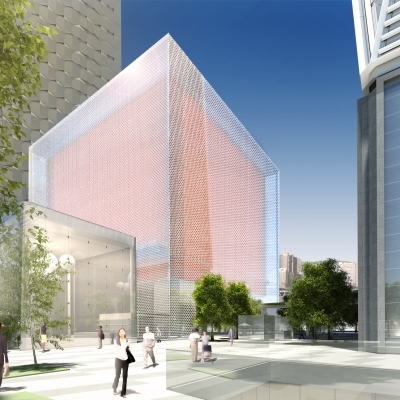 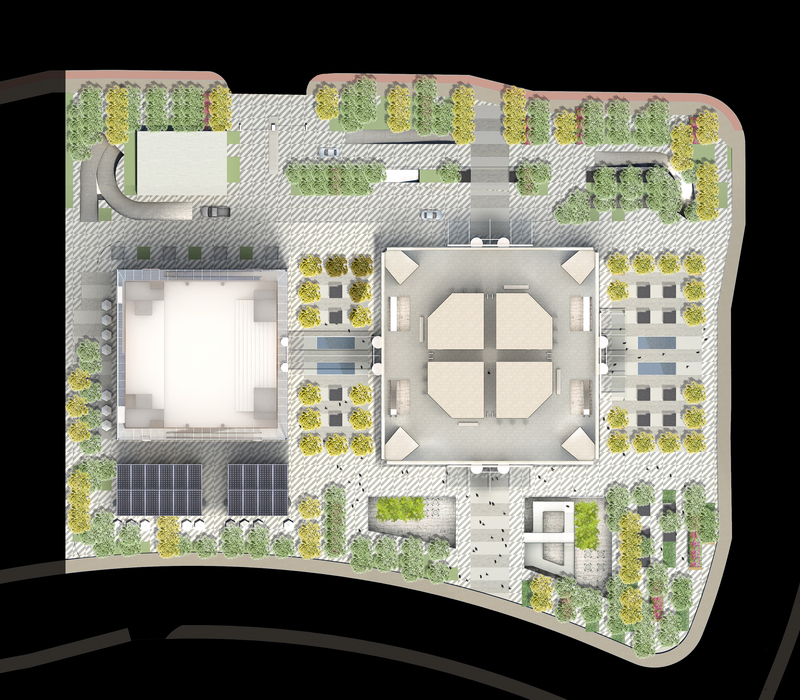 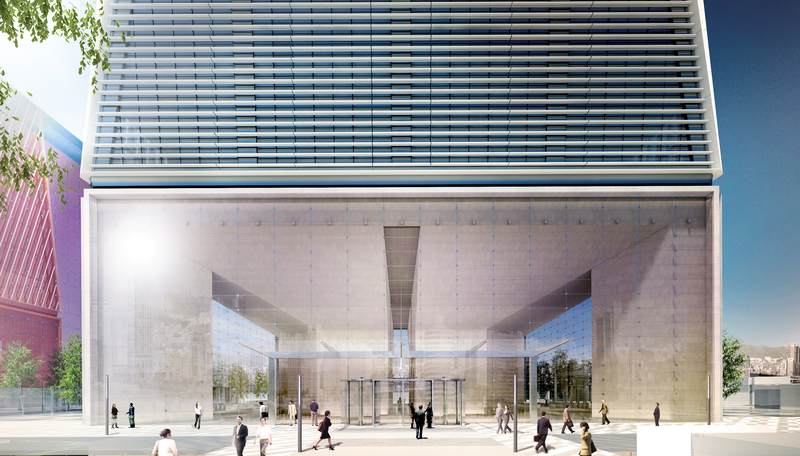 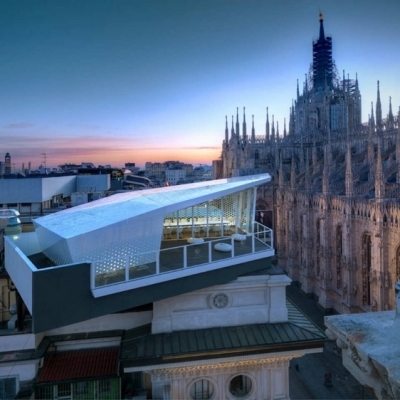 The project also includes two retail pavilions and an ethereal glass multifunctional auditorium; these elements define a pedestrian scale and help knit the tower into the neighborhood. 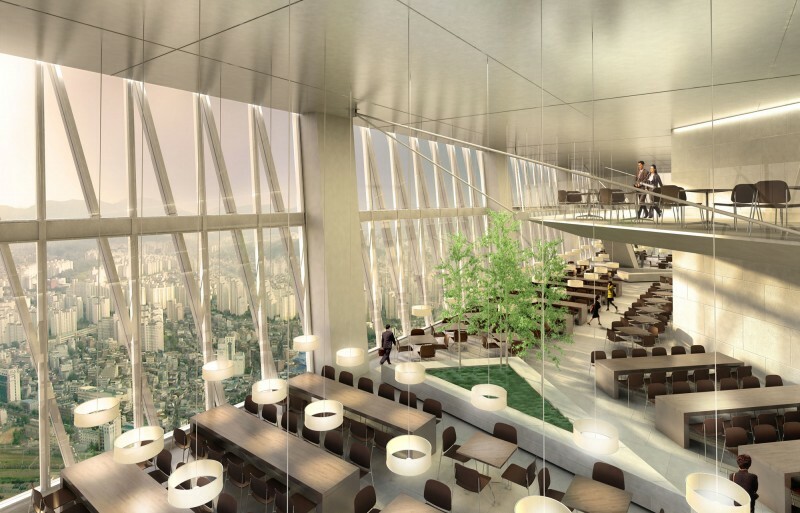 Sunshades are positioned at varying angles on each building exposure – horizontal, vertical, and diagonal – to reduce glare and provide shading in the summer and to permit direct sunlight to warm the building’s interiors during Seoul’s cold winter months. 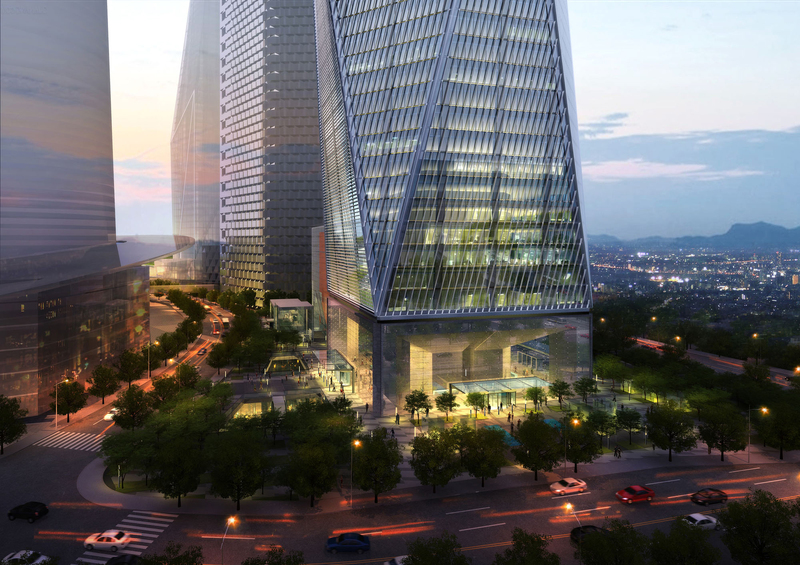 The exterior wall utilizes three layers of glass instead of the typical two to decrease energy loss through the façade and to meet Seoul Green Guidelines criteria. 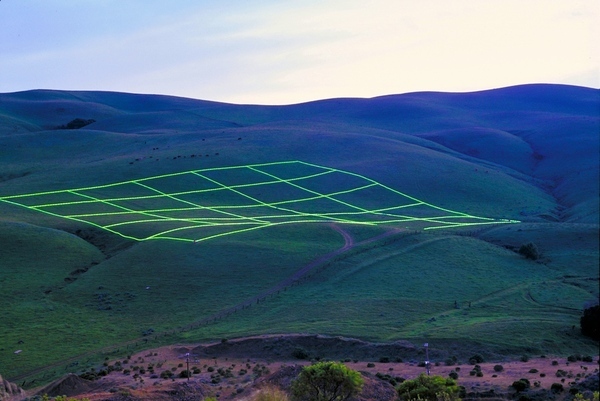 An integrated active chilled beam system transfers heating and cooling energy using water instead of air, resulting in less energy consumption and greater environmental comfort for building users. 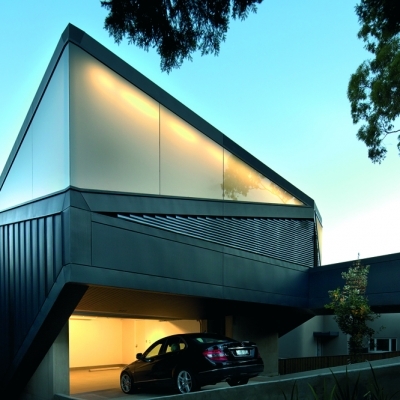 The diagonal megaframe structure defines the building form and reduces the amount of steel by 25% over a conventionally framed building. 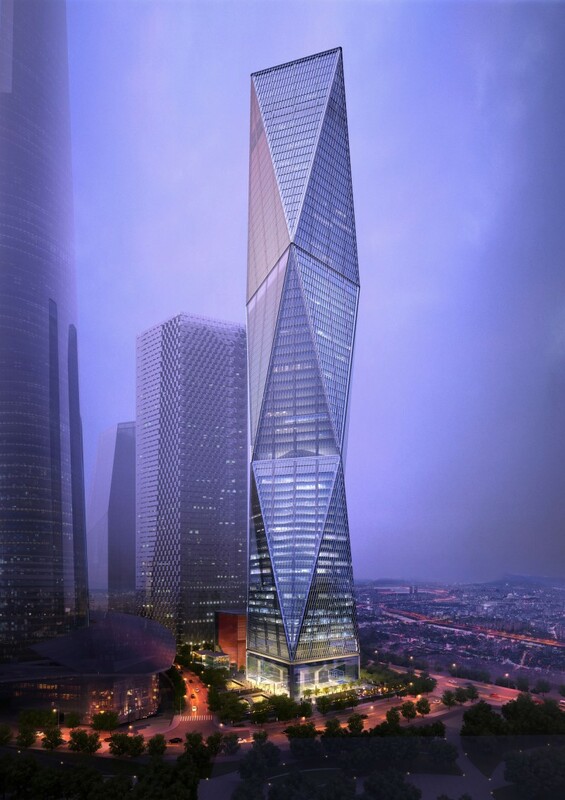 The variegated building profile also cuts wind forces by mitigating the effects of wind vortices on the leeward side of the building. 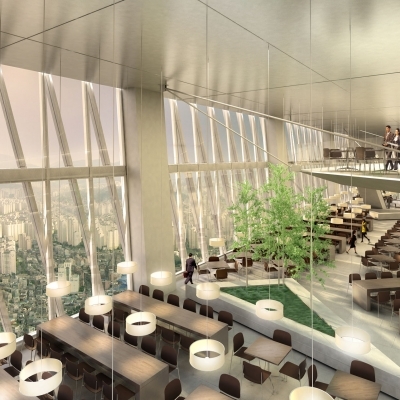 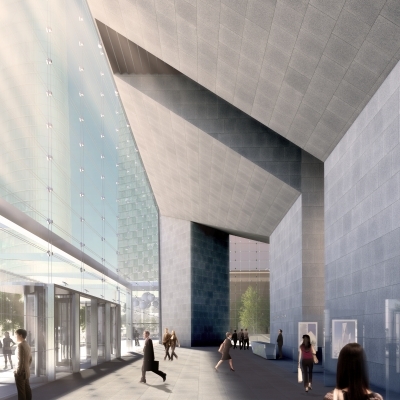 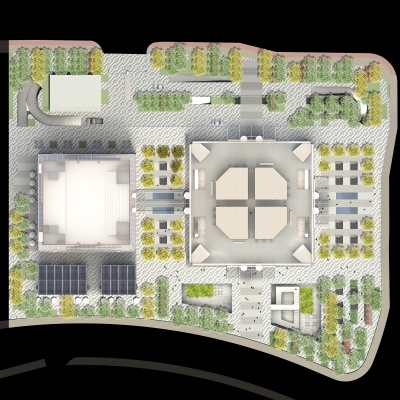 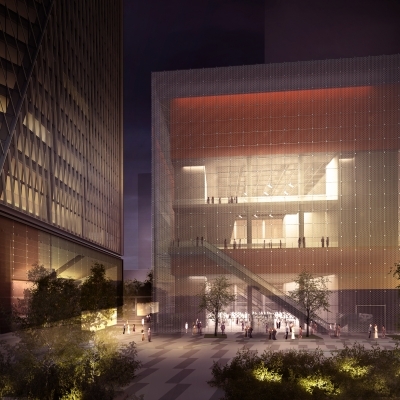 The entire tower is supported on four massive piers at the building corners, allowing the lobby to be entirely free of columns and to be visually connected to the urban plaza across from the Yongsan Train Station.